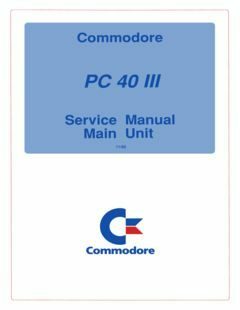 PC 40 III Service Manual Main Unit, thanks to Ove Mejlgaard. This entry was posted in PC Tech and tagged manual, pc, schematic, service by Carsten Jensen. Bookmark the permalink.